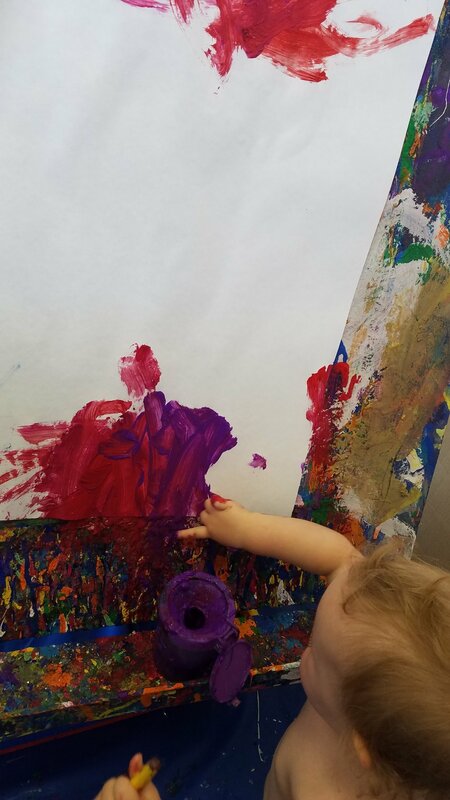 Her first painting. I waited for this moment for forever it seems. I couldn't wait to see what she'd do. I couldn't wait to take in every precious second. 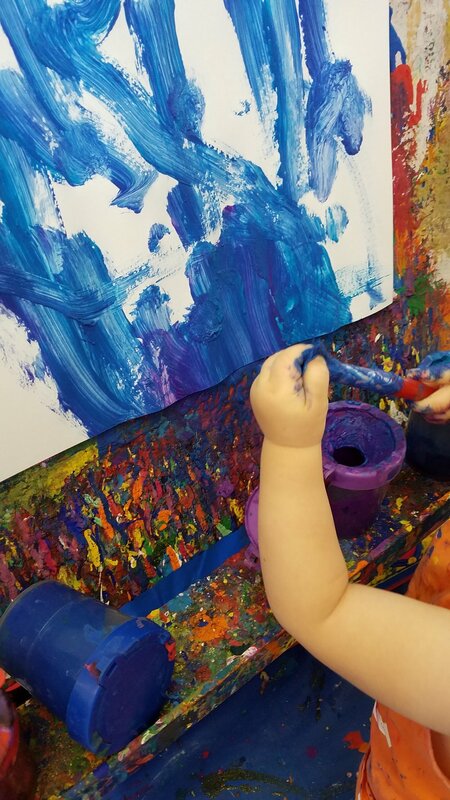 How her little hand grabs the brush so tightly. She has a smile on her face. 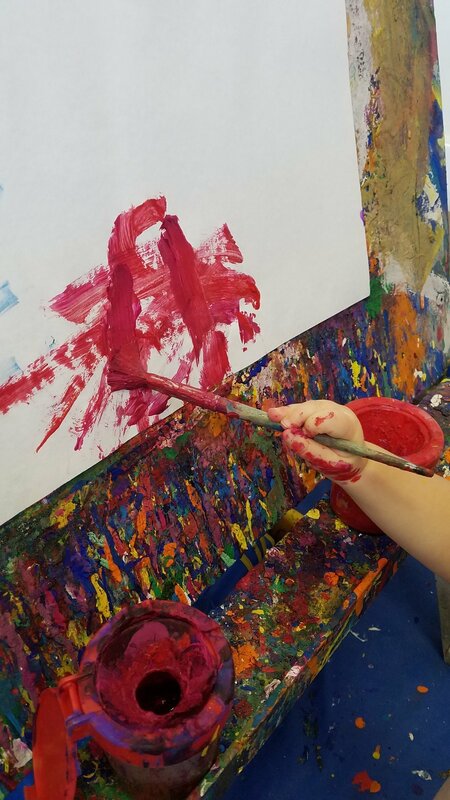 Slowly and carefully she dips the brush into the paint. She has no idea what this is or what is going to happen. 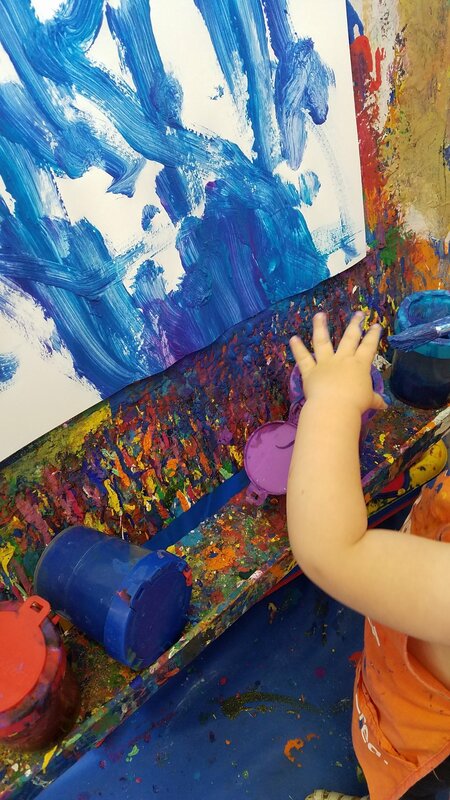 The moment the paint hits the paper she goes wild. Big strokes of color and excitement. She has never seen anything so amazing. I have never seen anything so amazing. Color from her hand to paper. Her eyes are sparkling. A look of delight on her face. What must she be feeling? She is free. She is creating. She is discovering. She is living. She is everything that is beautiful. She is love.....my love.